Those wild wanderers, Strange Cages, have just returned with yet another devilish new video for their track ‘Lasers of Joy’, taken from their ‘Silver Queen’ EP (out now on Vallance Records), as well as announcing select upcoming live dates. Another brilliant hypnotically-charged slice of psych-rock from the foursome, ‘Lasers of Joy’ is our next glimpse of the Silver Queen, the fictional cult leader that the band’s new Silver Queen EP is based around. Strange Cages have already been making big strides in their short existence. Having followed up their Theo Verney produced debut ‘Desert’ with the single ‘Pony’, the 4-piece then went on to release their head-spinning EP ‘The Cracks’, quickly gaining support from the likes of Clash Magazine, NME, Q Magazine, The 405 and The Line of Best Fit, whilst tearing up stages in support of King Gizzard & The Lizard Wizard, Night Beats, and Boogarins. Late last year the band returned with their best work yet, six expansive tracks that make up their Silver Queen EP. Combining elements of krautrock and post-punk with paranoid, schizophrenic vocals, Brighton has unearthed another gem in a city producing some of the most exciting acts in the UK right now. 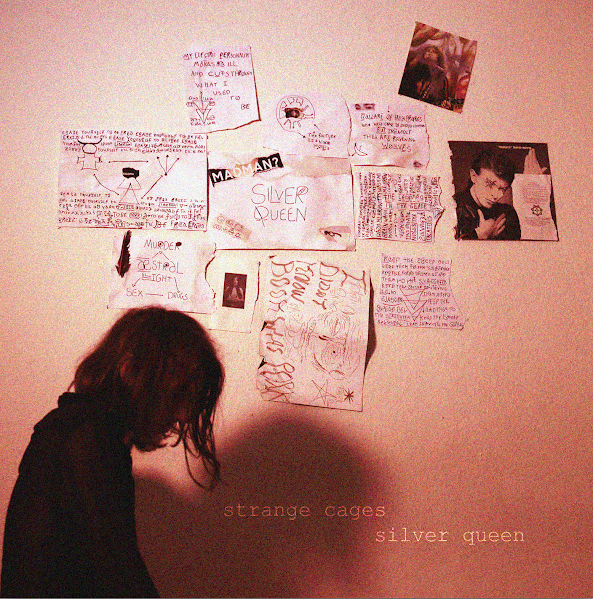 Strange Cages ‘Silver Queen’ EP is out now through Vallance Records.